Home / cell phone / tips / tutorials / Keeping Your Phone Safe Before Damaged. Keeping Your Phone Safe Before Damaged. 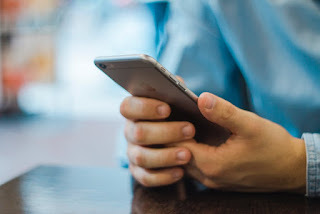 Keeping Connected and Safe while you browse the Internet in Safe and powerful tips.In this article, I will show you how to save your Mobile content and hardware. Let Start. Keeping Connected and Safe while you browse the Internet in Safe and powerful tips. What to Do if You Lost your Mobile? First, you need to recover your data from mobile if damaged or lost via Mobile Data Recovery. Back up Your data in External Hard Desk. You can use an application called Time Machine to back up your data from iPhone or Mac devices and then recover it using the external hard desk. If you have Android devices then you can make a backup from the device itself connected with PC connected via cable or memory card. Back up Data with Cloud Services. You can make a backup of your data with cloud services directly from mobile with schedule process with Android or iPhone devices.